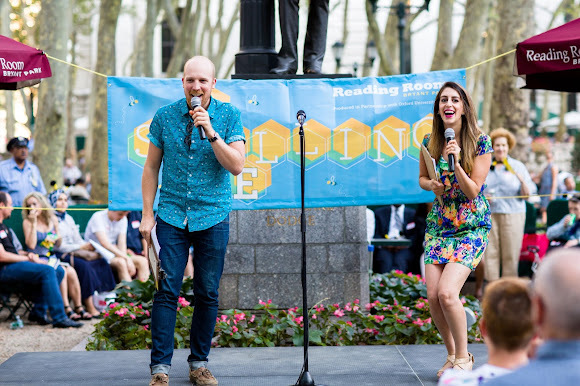 Spelling Bee returns to the park later in the season. Our HSBC series has been rebranded to focus on business and the challenges many of us face in the current economy. The first topic tackles Negotiation, with Chris Voss, a former FBI Lead International Kidnapping Negotiator. Voss and co-author, Tahl Raz, will talk about their new book Never Split the Difference: Negotiating As If Your Life Depended On It. On May 17, five poets--Joel Allegretti, Michael Montlack, Martine Bellen, Steve Dalachinsky and Abiodun Oyewole--will be reading from a new anthology of poetry called Rabbit Ears: TV Poems. Rabbit Ears is the first poetry collection about television. This collection is written by over 100 poets and features 130 poems. Comedian Dave Hill is back for a second time at the Park to talk about his new book, Dave Hill Doesn’t Live Here Anymore. The book is a collection of essays centered around his life after the passing of his mom. 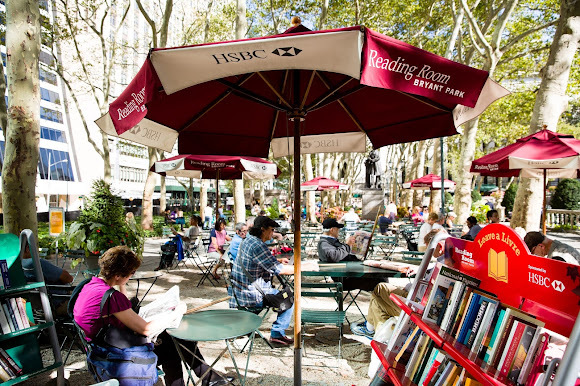 As always, the Reading Room is open to the public daily, weather-permitting.